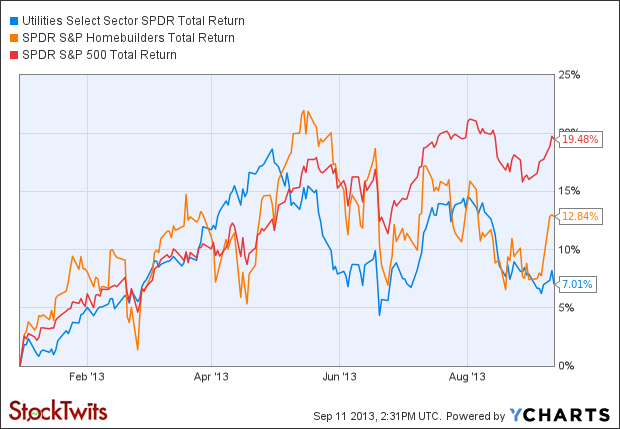 BBBs – Tis The Season To Be Cautious? Since 2008, the universe of corporate debt rated BBB has skyrocketed from $650 billion to more than $2.5 trillion, representing nearly half of all investment-grade bonds. This >250% increase in the size of the universe has unfortunately coincided with an easing of the covenants designed to protect investors. Despite the significant increase in the issuance of BBB debt, 70% of all issuance this year is rated BBB, rating agencies have become more accommodative. According to the folks at IR&M, more than 30% of the recent issuance has debt/EBITDA in excess 4x, which would ordinarily qualify them more as BB than BBB. Thank you to Income Research & Management for the chart below. With the U.S. economy showing signs of weakening, we believe that it is time to become much more cautious in allocating to this part of the fixed income universe. 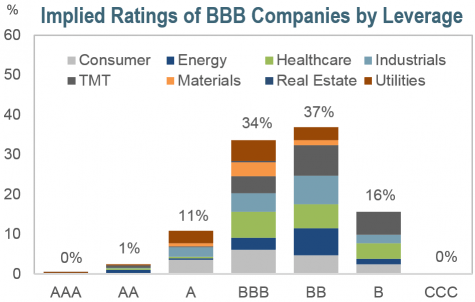 Since the BBB universe is roughly 4Xs that of the BB universe, downgrades to BBB could dramatically impact the existing BB space. Given how important security selection is at this time, we would highly recommend an active approach to the lower quality regions of the investment grade universe, as passive approaches will not be able to escape potential deteriorating situations. ← 8 Million and Counting!